Posted October 28, 2015 by Rabbi Lebow & filed under Atlanta Weddings. As a society, especially in America, we have made massive strides in love equality, meaning that all people have an opportunity at finding and holding onto love. This is a beautiful thing and something that fills Atlanta Jewish & Interfaith Weddings with hope. However, with so many “love” options out there and as more news stories populate the countries of static in our homes, it is clear to me that many people will be even more focused on the idea of finding the “love” of his or her life and when they don’t or are having trouble doing so? Well, that’s when depression begins to seep in. There’s just so much pressure nowadays to have our heart cradled by the heart of another. Sometimes this can be terrifying, as pointed out in this Elite Daily article. There are definitely two things at work here. Obviously, we have a natural desire to find people to share our lives with but on the flipside, we are inundated by stories of love, whether on the silver screen or that sometimes-abyss of Facebook. How else are we supposed to feel? Maybe, just maybe, as that Elite Daily article points out, we’re supposed to enjoy the journey and not feel bogged down by the pressure. Easier said than done, but something worth thinking about. Posted October 26, 2015 by Rabbi Lebow & filed under Atlanta Weddings. Like every detail of your wedding, you want to take careful consideration when picking your chuppah. But unlike many other details of your wedding, the chuppah will be focal, front and center to your wedding ceremony. 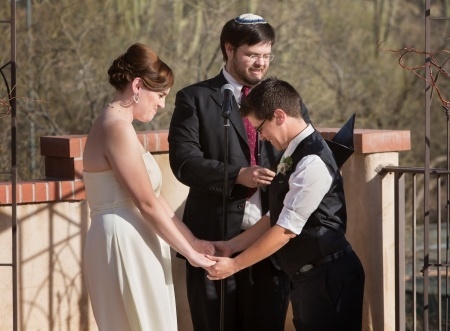 First, determine if you would like to use your chuppah to honor family traditions? If so, consider incorporating an heirloom tablecloth or blanket into the chuppah. Or perhaps you would consider including friends’ in the ceremony. You could request your friends’ to contribute cloth squares that could be quilted together to form your chuppah. Also incorporating elements of the season into your chuppah is always a nice touch. Remember the primary requirement for a chuppah in Jewish law is that it be supported by four poles, open on four sides and covered above. After that, you can include foliage of your choosing to incorporate with whatever theme you chose for your wedding. And, of course, make sure you pick the right size chuppah for your event. If you have limited space, perhaps you can make a one small enough just for the two of you. And keeping your chuppah to hang in your home after the wedding is a powerful reminder of your special day. But it also means you may want to keep it tasteful and stylish. Contact Atlanta Jewish & Interfaith Weddings for more information! Are You Experiencing True Intimacy? Posted October 20, 2015 by Rabbi Lebow & filed under Atlanta Weddings. Are you experiencing true intimacy, pure love, and true happiness in your relationship? Don’t be upset if you’re not. More often than not, relationships need to take some time to get to those levels. And forget what you know of these levels from the movies or TV; it’s not about someone completing you or your other half, but something more – an idea of sharing because the heart is democratic after all. It’s not about being consumed with passion and losing your sense of self. Although that sounds nice, it will only hurt you in the end, as talked about in this Tiny Buddha article. 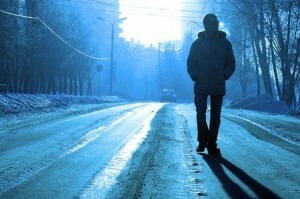 The important part, it seems, when it comes to maintaining a strong relationship is to never know your partner. In other words, always expect that their heart is bottomless, that their soul is trenched up at the bottom of the sea. That way, there is always something new to discover. Should Your Wedding Be Big or Small? Posted October 14, 2015 by Rabbi Lebow & filed under Atlanta Weddings. 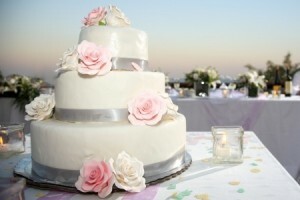 When it comes to planning a wedding, there are so many aspects of the ceremony and reception to consider. The location, flowers, food, and more are all important parts of the day, but so is the number of guests you invite. Depending on how large your family or circle of friends is, you may already have a predetermined number in mind. However, there is always some wiggle room depending on whether you want the event to be large or small. We’re here to go over some of the benefits of both options. One of the best reasons to have a small wedding is to make it feel more intimate for everyone involved. You can choose to just invite your closest friends and family members; ensuring distant relatives or friends you are out of touch with don’t feel left out. A small wedding also gives you more room to personalize things. From the invitations to the food, you can spend more time making sure everything is just right for the small group of people in attendance. Of course, larger weddings are also great options, especially if you don’t want anyone to feel left out. Having a large wedding allows you to really make it feel like a huge, celebratory event. You will have a chance to share the special day with friends and family members who you haven’t connected with in years and you may even get a chance to see some new cousins or friends’ kids who you’ve never met before. The size of your guest list is up to you and your partner, so spend some time figuring out how many people is the right fit for your wedding! Posted October 8, 2015 by Rabbi Lebow & filed under Atlanta Weddings. You’ve picked the venue, arranged the catering, sampled cake after cake after cake, sent and begged for a return on invitations, coordinated reception seating, and managed not to forget that it’s all going to be worth it, because your partner will be there. And now it’s the night before the wedding, and all you can think is: how in the heck am I going to enjoy this? Take a deep breath and then take a look at this list. Even if you don’t remember all of it, at some point, you’ll be glad you have the reminder. To start the day off right, be sure to have bachelor/bachelorette parties well in advance of your wedding day. No one wants to be hungover or tired after you’ve put all of that work into the perfect ceremony. Enjoy a breakfast with lots of protein and complex carbs. Passing out mid-ceremony is great for a YouTube clip, not so great for the actual event. During make-up and hair, wear a dress shirt instead of a tank top or t-shirt. You’ll avoid messing up all of the hard work your stylists/bridesmaids have put in by unbuttoning the top rather than pulling it over your head. 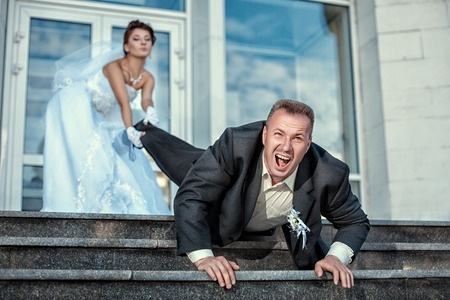 For brides and grooms: break in new shoes well before the wedding date to avoid pinching and slipping. Coming back to avoiding a fainting spell, go easy on the perfume/cologne, too. Perhaps most importantly, put the phone away. If you have family or friends that couldn’t make the event, give the phone to the best man or maid of honor to screen calls for you, but don’t divert focus. Celebrate in the moment! Finally, ensure that you’ve got an officiant up to the task of keeping the focus on yourself and your partner while blending humor and reverence into a ceremony that no one will soon forget! Contact Rabbi Lebow today. Posted September 30, 2015 by Rabbi Lebow & filed under Atlanta Weddings. When your wedding day finally arrives, it is likely that you will be a little nervous, but that feeling will hopefully be overshadowed by your joy and excitement, not to mention the love you have for your partner. Most brides and grooms instead find that the planning process itself is where all the stress is, rather than the event itself. Fortunately, there are quite a few things you can do to reduce your wedding planning stress, and we’re here to give you some suggestions. Before meeting with any potential vendors, make sure you do your research! There’s nothing more than booking time out of your day to meet with a vendor who won’t end up working out. Of course, you may speak with a few vendors that you decide to turn down, but don’t stress yourself out by meeting dozens of people in person. Check out testimonials, trade a few emails or phone calls, and wait until you’re pretty sure you’ve found the right person before moving forward. 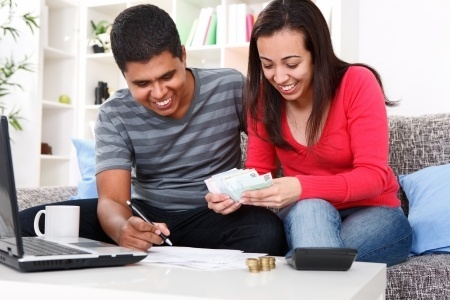 One of the main sources of stress throughout the planning process is how much money you will be spending. You can make things easier by setting a budget at the beginning, and then finding locations and vendors that will work within your range. Don’t waste money on something you think will be great without shopping around. You may be able to find similar decorations, dresses, etc. for a far lower price point with a little research. Finally, don’t be afraid to ask for help. Every couple should put in equal work, because the wedding is about both of you. But your friends and family members are also there if you need anything. Of course, we realize you want to plan most aspects of the day without any input, but you can still reach out to loved ones in a pinch if you need something taken care of that you know they can handle. Take advantage of these tips and try to enjoy the planning process almost as much as the wedding itself! Posted September 15, 2015 by Rabbi Lebow & filed under Uncategorized. we live in an era where loneliness is as potent as an epidemic, something akin to an emotional bubonic plague affecting the countryside of our insides, tearing at the cornfields of our happiness. It’s bad. Antidepressant usage in people of all ages is at an all-time high and with the continued rising prominence of social media; we are simultaneously connected and disconnected simultaneously. Scratch that – it’s worse than bad, it’s downright scary! No man (and woman) is an island, as the famous poet John Donne once wrote, so what must we as a society do to somehow quell this high tide of loneliness? We must do something before it washes us away like a typhoon. Some inventive entrepreneurs are utilizing the technology we have in the fight against loneliness and, according to this Time article, the war is waging in Japan. Sad, but at least this particular gentleman feels a little less disconnected because of the game. At Atlanta Jewish & Interfaith Weddings, we feel that everyone deserves to feel connected. Everyone deserves a shot at love, to feel like his or her heart is like a gigantic hill in the mountain range we call human. Remember, no man (and woman) is an island. When Was the Last Time You Kissed Your Partner? Posted September 3, 2015 by Rabbi Lebow & filed under Atlanta Weddings. One of the most important parts in keeping a relationship strong and healthy is kissing. We’re not talking about full-blown making out, but rather lip-to-lip contact that strengthens intimacy and waters the romance garden. We hate to use such a cliché imagery to prove a point, but a garden overrun with flowers is one of the best images we can conjure up in regards to a healthy, passionate relationship. We’re not delusional about relationships though; we understand that sometimes the world siphons off all your energy so that every now and again two people might need a boost. In our opinion, that boost often comes in the form of kissing – a peck here and there can go a long way in recalibrating a relationship. There is, however, one problem: kissing has changed over the last few years, as discussed in The New York Times. The kissing supercharged Court’s idea of what intimacy actually means and changed the way she viewed relationships with the people around her. That’s the power of kissing; it manages to override avoidance and strengthen your connections with everyone. Imagine what kissing can do for your own relationship. 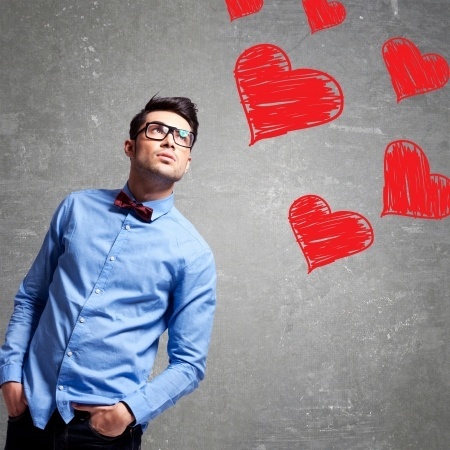 Are Hopeless Romantics Really That Hopeless? Posted August 28, 2015 by Rabbi Lebow & filed under Atlanta Weddings. Romance…the word rolls off our tongue like a smooth pebble and hits the ground rolling. Sometimes it rolls a little too fast and we try chasing after it, but some of us don’t have the stamina or the luck. All we can really do is watch as it rolls off into the distance. For the vast majority of us who has seen that pebble of love roll off like that…well…it’s a little depressing and it makes us feel hopeless. Look, I’m about to reveal a huge secret that might just rock your world and make you question everything you think you know. You ready? There’s a secret army in America, working in the shadows to make true love happen, an army of hopeless romantics – and while their numbers aren’t available, they are a lot larger than you or I could think. Are you a member of this coalition of the hopelessly willing? It’s not as bad as it sounds, as discussed in this Elite Daily article. Scotti argues that in the context of a hopeless romantic, hopeless doesn’t necessarily mean hopeless. Where some see hopeless, Scotti sees hope. After all, hopeless is a grim word, conjuring up feelings of depression and a lonely casket. It should never be paired with “romantic” or be associated with anything to do with the world of romance. Maybe it’s about time we take the word back, don’t you think? Tags: Are Hopeless Romantics Really That Hopeless, hopeless romantic meaning, How to Date a Hopelessly Romantic Person, In Defense Of Hopeless Romantics, whats a "hopeless romantic"
Posted August 26, 2015 by Rabbi Lebow & filed under Atlanta Weddings. Nowadays the world we live in always seems split down the middle between this camp and that camp – Republicans and Democrats, straight and gay, old and young. We can go on and on when it comes to divisions in America, but here is one division you might not think of: detail-oriented people and the go with the flow people. It does not seem as severe a divide as the other groups we listed, but come wedding planning time, such differences between couples can be disastrous, such as was the case with Keith and Leslie Carpenter in Vancouver, WA, as discussed in this KATU News article. When they got their dream cake, it was far from a dream. It is as if the bakery did not take any of Leslie’s specifications into consideration. For a detail-oriented person like Leslie, this was heartbreaking. The entire wedding, in her eyes, was in jeopardy and it was too late along in the process to get the right cake, so the couple begrudgingly accepted the wrong one. Like with any grievances these days, Leslie took to social media to talk about her frustration. Thankfully, another baker stepped up to the plate to recreate Leslie’s dream cake. To continue the good news, a photographer volunteered to snap photos of them with it. While their wedding was missing their dream cake, they got to make up for it. All’s well that ends well. If Leslie was so distraught over the details, there was a good possibility she would have cancelled the whole thing. Luckily, for everyone involved, the couple made a mature decision. This is a lesson for all couples planning their wedding: sometimes things do not work out the way you imagine. That should not deter you from the bigger picture.